Previously unpublished in the UK, this book shows how fathers can balance demands on their time to become the better parents to their children that they want to be and that their children deserve. With the pressures of 21st century working life an everyday topic of news and conversation, effective and rewarding advice for parents is more important than ever. The One Minute Father has become a buzzword of the current age, and this book is the quickest way to help your children learn to like themselves and to behave. Incorporating One Minute Praisings, One Minute Goals and One Minute Reprimands, the book helps both father and children develop confidence, happiness and satisfaction in their relationships. The same tell-a-simple-story approach works here as in the other Blanchard and Johnson books which have become a worldwide phenomenon. A man who sees that he has been a better provider than parent learns by trial and error how to be more nurturing. 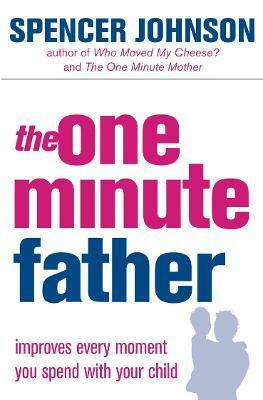 "If I had had a copy of The One Minute Father when I was raising my children, I certainly would have been a more effective parent." "There were many demands on my time when my children were growing up and The One Minute Father would have been invaluable." Spencer Johnson is an internationally bestselling author whose books help millions of people discover simple truths they can use to have healthier lives with more success and less stress. His many bestsellers include The One Minute Manager (with Ken Blanchard), The One Minute Sales Person, Yes or No and Who Moved My Cheese?